Pete Hague is an illustrator, animator and game developer. 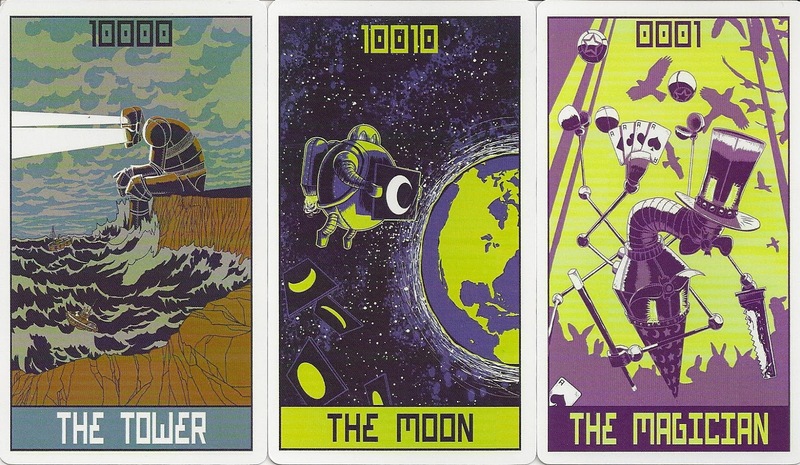 His Robo Tarot series was started in 2011. It was originally intended to put the Major Arcana designs on t-shirts. Due to the growing demand for a real deck the artist created the minors and issued a complete tarot deck in 2012. 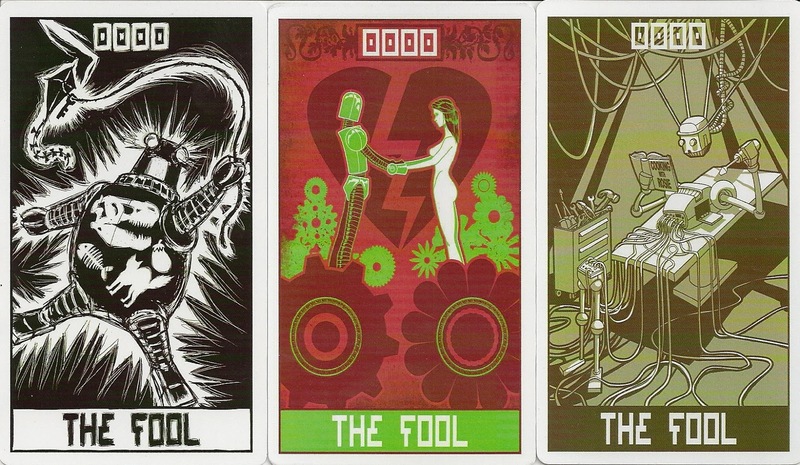 The cards are designed in a 1950ies science fiction style and are numbered in binary.The artist created three different designs for the Fool. 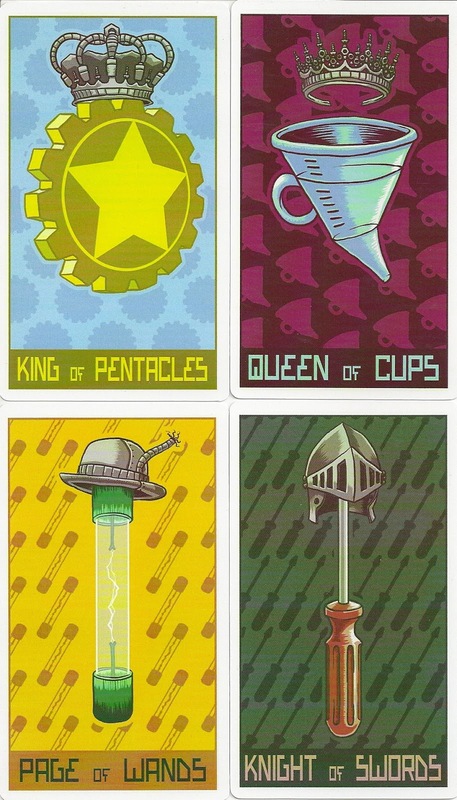 The suits are Wands (diodes), Pentacles (gears), Cups (funnels) and Swords (screwdrivers). The non reversible backs show a Battery design. The cards are 3" x 5" with the card title at the bottom. The decks are printed on a made to order basis. They came in a platinum finish tin box with a custom stenciled Battery emblem on the front, surrounded by a screw-bound metal strap.